Do You Need More From Carpet Cleaning Companies? Your search for carpet cleaning companies in Boonville, IN is over. We service all of southern Indiana and can't wait to help you! When you're in the market for carpet cleaning companies in Boonville, IN, and surrounding areas, look no further than Crystal Ball Carpet Cleaning. Whether you're dealing with an unsightly stain or you need your carpet and tile cleaned for a special occasion, Crystal Ball Carpet Cleaning is available to meet your needs. Our professional carpet cleaning products eliminate the need for harsh chemicals, leaving your space safe for your children and pets to play. From carpet and area rugs to tile and grout, turn to the professionals at Crystal Ball Carpet Cleaning to renew the look of your flooring. 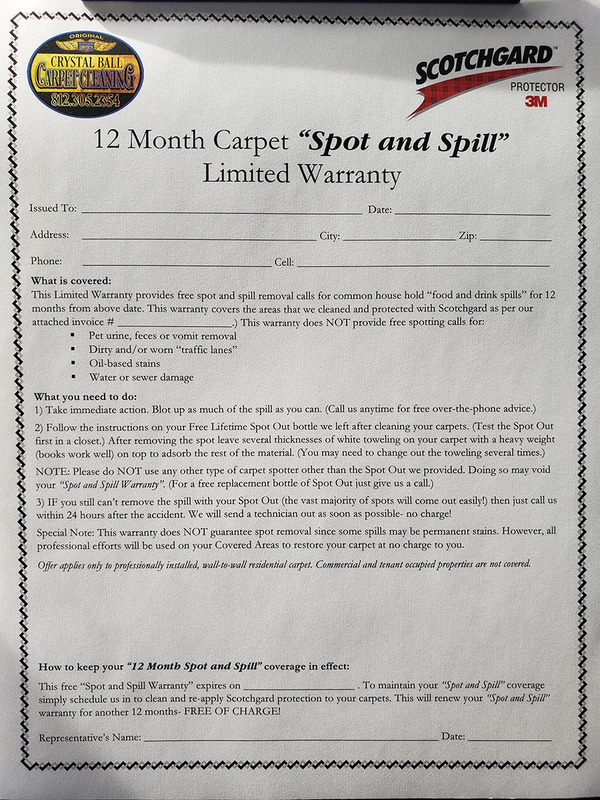 We also offer Scotchgard treatments with 12-month warranties. If you spill something on your carpet after the Scotchgard treatment and our spot treatment doesn't get the stain out, we'll take care of the stain for you for free. Reach out to our experts in Boonville, IN to learn more about our professional carpet cleaning services. Why choose Crystal Ball Carpet Cleaning? Crystal Ball Carpet Cleaning is one of the leading carpet cleaning companies in Boonville, IN and beyond. We were named Best Floor Cleaning Service of 2018 by The Evansville Courier & Press and The Standard. With over 15 years of professional carpet cleaning experience, our family owned and operated business strives to build lasting relationships with home and business owners in and around our Boonville, IN community. Our eco-friendly cleaning services guarantee fresh-looking flooring no matter how old or deep your stain is. With each of our services, you'll receive a bottle of our spot treatment product to maintain your carpets between cleanings. Don't hesitate to call us; our professional carpet cleaning technicians can easily renew the look and feel of your home or office in no time.